Dim sum back in the day. 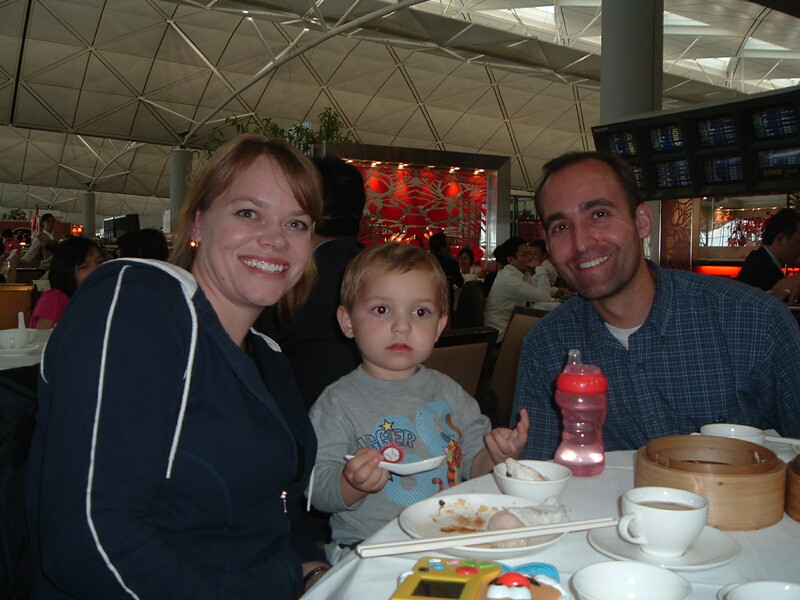 Today is the 10th anniversary of our family’s arrival in China. It came and went with much less fanfare than it would have received had I been more prepared. There probably would have been fireworks. But I did pause to reflect a bit. Ten years. It’s strange to think back on what was different about us back then, and what was different about China. Here’s just a few quick thoughts on what has changed over the past decade. I remember being bewildered at suddenly not being able to read anything. Not menus, not instructions, not labels, nothing. It was strange to be illiterate. While I’m still far from being able to read every Chinese character I come across, I do pretty well in everyday life, and can easily read enough to buy things at the store, read bus route signs, and understand notices that get put up in our neighborhood. It’s not just the writing—there were days at the beginning of our time in China that I wondered if I’d ever be able to have an interaction at the post office without looking up a bunch of vocabulary words and rehearsing the possible conversation in my head first. Though my Mandarin still has ample room for improvement, I don’t have to prepare for interactions. I can just dive in. I have a clear memory of the sickening smell of Chinese sausages overpowering us in supermarkets. Now that same scent makes me hungry. Stuff that looked weird now all looks familiar. At the same time we were getting used to Chinese food, and learning to cook Western food using only local ingredients, our part of China was slowly getting more and more imported items. I guess we’ve ended up meeting in the middle. China has not only gotten more food items from abroad, it’s simply gotten more of everything from overseas. There’s still a long list of things we can’t get here, but the list is steadily shrinking. I never thought I’d one day be able to buy Command strips at my local supermarket! I’m sure there are hundreds more ways that we have changed and that China has changed, but those are a few brief reflections on this milestone of a day. Light a sparkler in our honor! 10 Chinese Customs We Should Import to the U.S.
Hope you continue to be encouraged in your journey. Congratulations to you, too! You’re absolutely right: in Expatland, 10 years is a really long time and a really big deal. Thanks so much for sharing, and blessings as you rack up yet another year.